Police arrest, indict, Brazilian who attempted to smuggle ten of thousands of dollars worth of dangerous drugs into Israel. Israel Police on Thursday will file an Indictment against a foreign resident from Brazil who attempted to smuggle drugs into Israel. Police foiled the suspect's attempt to smuggle drugs, valued at half a million shekels ($137,421), into Israel by concealing them in capsules hidden on his body. The police investigation began on September 15, when the suspect, a man in his 20s, landed at the airport. 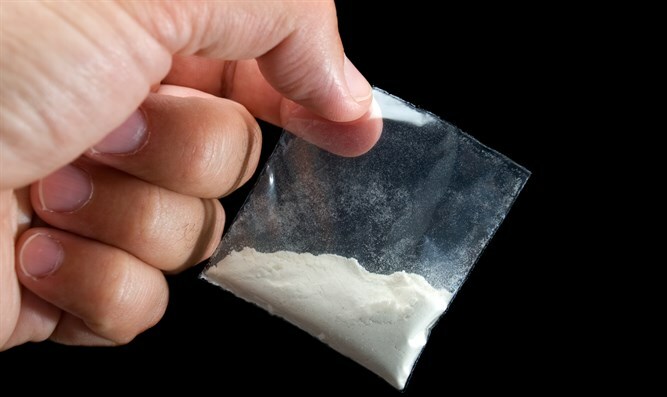 The suspect raised the suspicion of police and he was detained for an examination, which raised the suspicion that he was concealing dangerous drugs on his body. Police arrested the suspect and escorted him to the hospital, where 35 capsules believed to contain dangerous substances were discovered concealed on his body. After the capsules were removed from his body, they were weighed by the police, who found that they contained half a kilogram of a dangerous drugs and cocaine. The drugs are worth half a million shekels ($137,421) in total. The suspect was questioned by police. He remains under arrest and a court indictment against him is expected to be filed on Thursday. Separately, Israel Police unites arrested an American tourist who received drugs via the mail. An investigation was opened on September 12, after the suspect was scheduled to collect a suspicious package. The drugs were found hidden in a coffee package and in clothes arriving from the US. Police arrested the suspect, who is expected to be indicted on Thursday for possession of drugs.